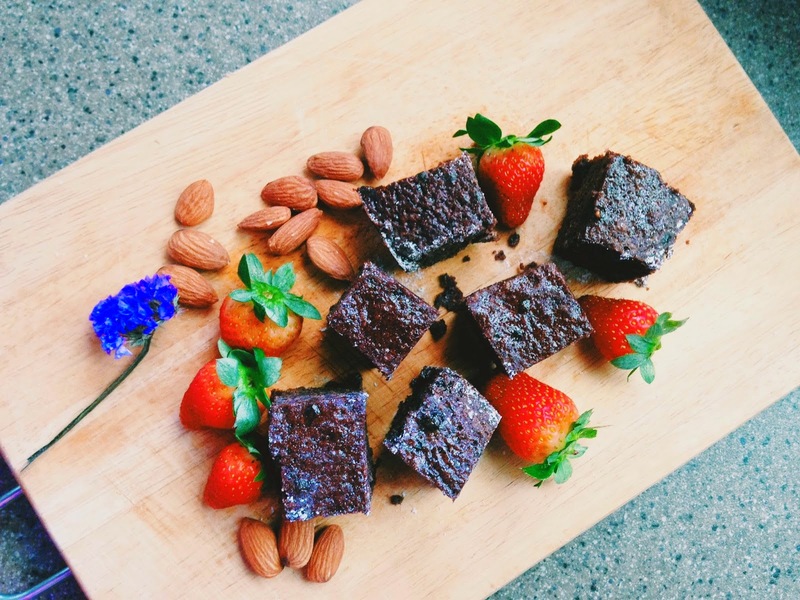 Today I thought of sharing with you a recipe that I always use to make brownie. I am still searching for my go-to brownie recipe. This, however might be it at the moment since I have made countless batches! Note that all brownies recipe have similar ingredients but because of varying amount of chocolate, flour, butter and sugar, the texture of a brownies could be quite difference. Each time I make brownies, I always play around and experimenting with different amount of white and brown sugar to add into the batter. In this recipe it results in chewy and fudgy brownies. Taste and texture wise, they are more dense, gooey and moist. This recipe is also good for those who want to make brownies but concern about the overwhelming sweetness!. Remove from heat, and allow to slightly cool for 10 minutes. 2) In the meantime, preheat oven to 180 degree Celcius. Whisk together flour, cocoa, and salt in small bowl and set aside. 3) Add granulated and brown sugars into the cooled chocolate/butter mixture. Whisk to combine. 4) Add in eggs, one at a time, whisking until smooth after each addition. After that, whisk in vanilla extract. 5) Gently fold in flour mixture into the egg mixture. Once combined, stir in the chocolate chips and chopped almond. 6) Pour batter into the prepared baking pan (you can layered in aluminium foil beforehand but I just spray some oil). Baked for 30-35 minutes or until you see brownies begin to pull away from the edges of the pan. A toothpick inserted in the centre should comes out with a few moist crumbs. 7) Set aside with 5 minutes to cool. Cut into square. Well serve with icecream or cream or greek yoghurt. 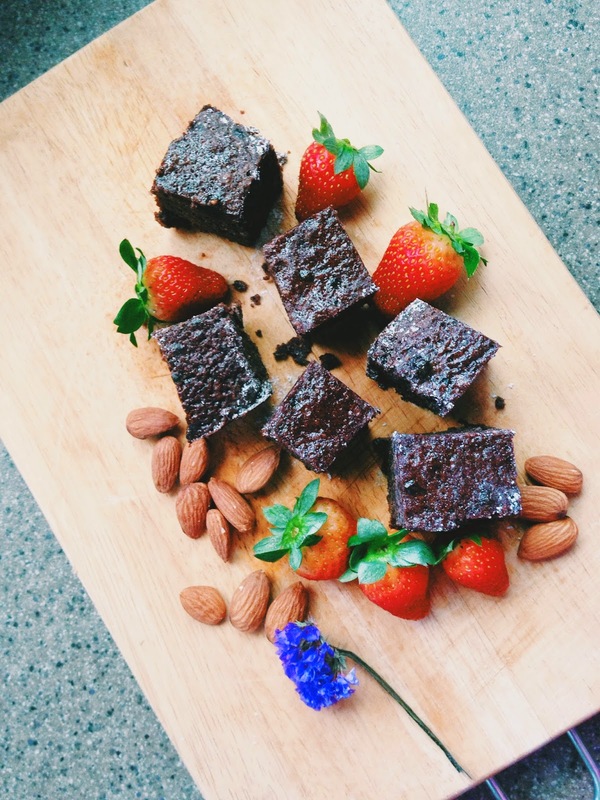 I'm such a believer that brownies are the best when you keep them simple. Don't need to have fancy chocolate topping or so, but of course you could try it if you want.